The Arduino environment has been designed to be easy to use for beginners who have no software or electronics experience. With Arduino, you can build objects that can respond to and/or control light, sound, touch, and movement. Arduino has been used to create an amazing variety of things, including musical instruments, robots, light sculptures, games, interactive furniture, and even interactive clothing. Arduino is used in many educational programs around the world, particularly by designers and artists who want to easily create prototypes but do not need a deep understanding of the technical details behind their creations. Because it is designed to be used by nontechnical people, the software includes plenty of example code to demonstrate how to use the Arduino board’s various facilities. Though it is easy to use, Arduino’s underlying hardware works at the same level of sophistication that engineers employ to build embedded devices. People already working with microcontrollers are also attracted to Arduino because of its agile development capabilities and its facility for quick implementation of ideas. Arduino is best known for its hardware, but you also need software to program that hardware. Both the hardware and the software are called “Arduino.” The combination enables you to create projects that sense and control the physical world. The software is free, open source, and cross-platform. The boards are inexpensive to buy, or you can build your own (the hardware designs are also open source). In addition, there is an active and supportive Arduino community that is accessible worldwide through the Arduino forums and the wiki (known as the Arduino Playground). The forums and the wiki offer project development examples and solutions to problems that can provide inspiration and assistance as you pursue your own projects. The recipes in this chapter will get you started by explaining how to set up the development environment and how to compile and run an example sketch. Source code containing computer instructions for controlling Arduino functionality is usually referred to as a sketch in the Arduino community. The word sketch will be used throughout this book to refer to Arduino program code. The Blink sketch, which comes with Arduino, is used as an example for recipes in this chapter, though the last recipe in the chapter goes further by adding sound and collecting input through some additional hardware, not just blinking the light built into the board. Chapter 2 covers how to structure a sketch for Arduino and provides an introduction to programming. Software programs, called sketches, are created on a computer using the Arduino integrated development environment (IDE). The IDE enables you to write and edit code and convert this code into instructions that Arduino hardware understands. The IDE also transfers those instructions to the Arduino board (a process called uploading). The Arduino board is where the code you write is executed. The board can only control and respond to electricity, so specific components are attached to it to enable it to interact with the real world. These components can be sensors, which convert some aspect of the physical world to electricity so that the board can sense it, or actuators, which get electricity from the board and convert it into something that changes the world. 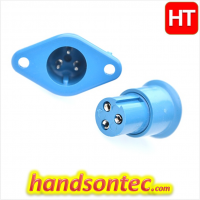 Examples of sensors include switches, accelerometers, and ultrasound distance sensors. Actuators are things like lights and LEDs, speakers, motors, and displays. 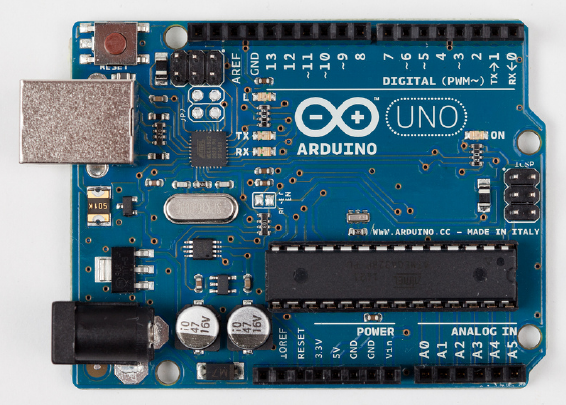 There are a variety of official boards that you can use with Arduino software and a wide range of Arduino-compatible boards produced by members of the community. The most popular boards contain a USB connector that is used to provide power and connectivity for uploading your software onto the board. 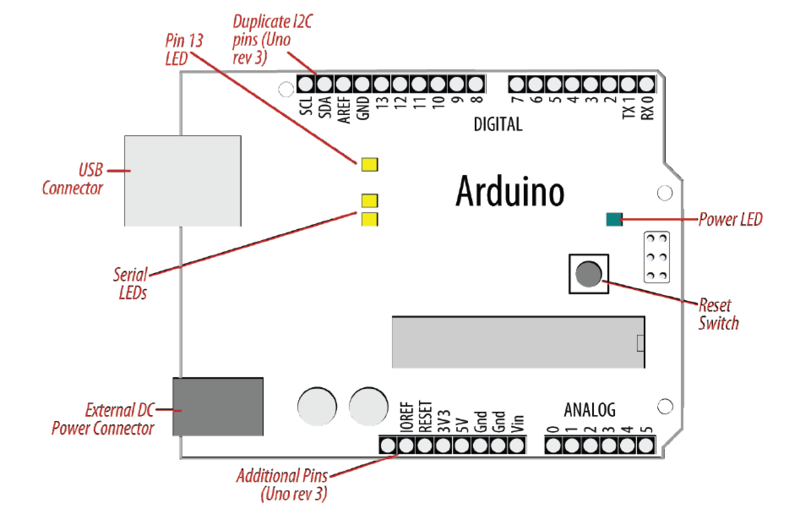 Figure 1-1 shows a basic board that most people start with, the Arduino Uno. Figure 1-1. Basic board: the Arduino Uno. 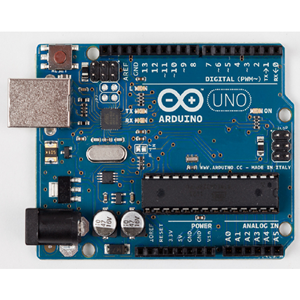 The Arduino Uno has a second microcontroller onboard to handle all USB communication; the small surface-mount chip (the ATmega8U2) is located near the USB socket on the board. This can be programmed separately to enable the board to appear as different USB devices. The Arduino Leonardo board replaces the ATmega8U2 and the ATmega328 controllers with a single ATmega32u4 chip that implements the USB protocol in software. You want to install the Arduino development environment on your computer. 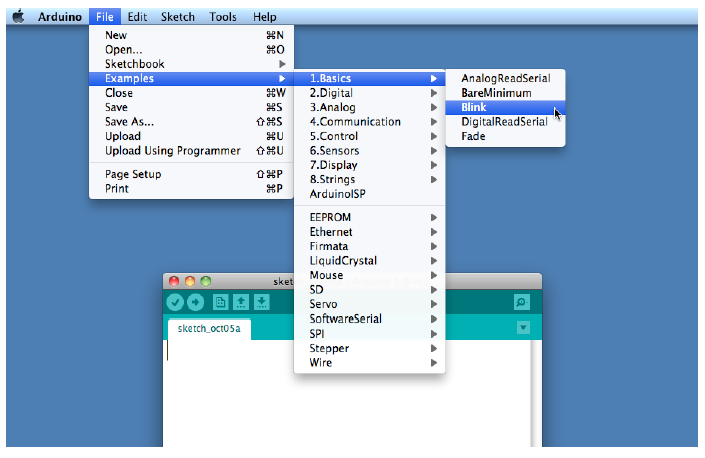 The Arduino software for Windows, Mac, and Linux can be downloaded from http://arduino.cc/en/Main/Software. The Windows download is a ZIP file. Unzip the file to any convenient directory – Program Files/Arduino is a sensible place. Unzipping the file will create a folder named Arduino-00<nn> (where <nn> is the version number of the Arduino release you downloaded). The directory contains the executable file (named Arduino.exe), along with various other files and folders. 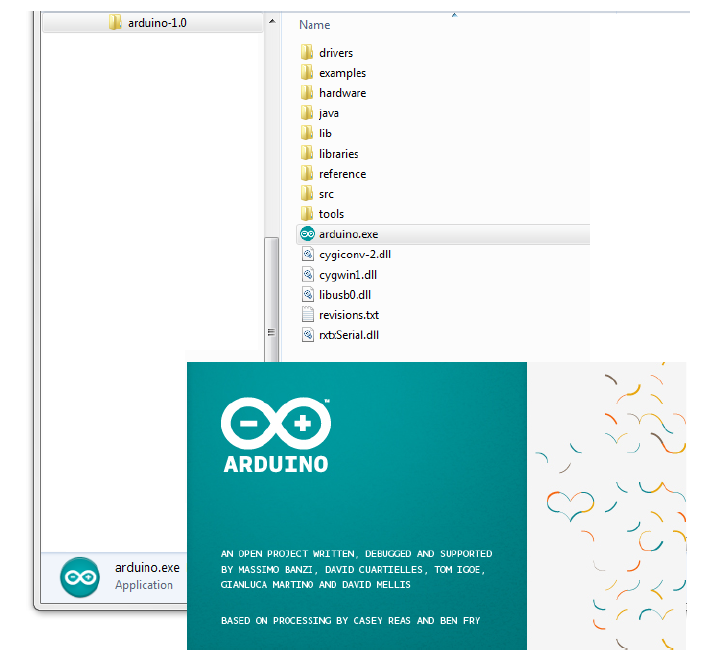 Double click the Arduino.exe file and the splash screen should appear (see Figure 1-2), followed by the main program window (see Figure 1-3). Be patient, as it can take some time for the software to load. The Arduino download for the Mac is a disk image (.dmg); double-click the file when the download is complete. 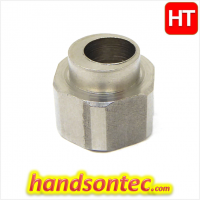 The image will mount (it will appear like a memory stick on the desktop). Inside the disk image is the Arduino application. Copy this to somewhere convenient – the Applications folder is a sensible place. Double-click the application once you have copied it over (it is not a good idea to run it from the disk image). The splash screen will appear, followed by the main program window. Linux installation varies depending on the Linux distribution you are using. See the Arduino wiki for information (http://www.arduino.cc/playground/Learning/Linux). To enable the Arduino development environment to communicate with the board, you need to install drivers. On Windows, use the USB cable to connect your PC and the Arduino board and wait for the Found New Hardware Wizard to appear. If you are using an Uno board, let the wizard attempt to find and install drivers. It will fail to do this (don’t worry, this is the expected behavior). To fix it you now need to go to Start Menu→Control Panel→System and Security. Click on System, and then open Device Manager. In the listing that is displayed find the entry in COM and LPT named Arduino UNO (COM nn). nn will be the number Windows has assigned to the port created for the board. You will see a warning logo next to this because the appropriate drivers have not yet been assigned. Right click on the entry and select Update Driver Software. Choose the “Browse my computer for driver software” option, and navigate to the Drivers folder inside the Arduino folder you just unzipped. Select the ArduinoUNO.inf file and windows should then complete the installation process. If you are using an earlier board (any board that uses FTDI drivers) with Windows Vista or Windows 7 and are online, you can let the wizard search for drivers and they will install automatically. On Windows XP (or if you don’t have Internet access), you should specify the location of the drivers. Use the file selector to navigate to the FTDI USB Drivers directory, located in the directory where you unzipped the Arduino files. When this driver has installed, the Found New Hardware Wizard will appear again, saying a new serial port has been found. Follow the same process as before. It is important that you go through the sequence of steps to install the drivers two times, or the software will not be able to communicate with the board. On the Mac, the latest Arduino boards, such as the Uno, can be used without additional drivers. When you first plug the board in a notification will pop up saying a new network port has been found, you can dismiss this. If you are using earlier boards (boards that need FTDI drivers), you will need to install driver software. There is a package named FTDIUSBSerialDriver, with a range of numbers after it, inside the disk image. Double-click this and the installer will take you through the process. You will need to know an administrator password to complete the process. On Linux, most distributions have the driver already installed, but follow the Linux link given in this chapter’s introduction for specific information for your distribution. You want to power up a new board and verify that it is working. Plug the board in to a USB port on your computer and check that the green LED powerindicator on the board illuminates. Standard Arduino boards (Uno, Duemilanove, and Mega) have a green LED power indicator located near the reset switch. An orange LED near the center of the board (labeled “Pin 13 LED” in Figure 1-4) should flash on and off when the board is powered up (boards come from the factory pre-loaded with software to flash the LED as a simple check that the board is working). New boards such as Leonardo have the LEDs located near the USB connector; see Figure 1-5. Recent boards have duplicate pins for use with I2C (marked SCL and SDA). These boards also have a pin marked IOREF that can be used to determine the operating voltage of the chip. The latest boards have three additional connections in the new standard for connector layout on the board. This does not affect the use of older shields (they will all continue to work with the new boards, just as they did with earlier boards). The new connections provide a pin (IOREF) for shields to detect the analog reference voltage (so that analog input values can be calibrated to the supply voltage), SCL and SDA pins to enable a consistent connection for I2C devices (the location of the I2C pins has differed on previous boards due to different chip configurations). Shields designed for the new layout should work on any board that uses the new pin locations. An additional pin (next to the IOREF pin) is not being used at the moment, but enables new functionality to be implemented in the future without needing to change the pin layout again. If the power LED does not illuminate when the board is connected to your computer, the board is probably not receiving power. The flashing LED (connected to digital output pin 13) is being controlled by code running on the board (new boards are preloaded with the Blink example sketch). If the pin 13 LED is flashing, the sketch is running correctly, which means the chip on the board is working. If the green power LED is on but the pin 13 LED is not flashing, it could be that the factory code is not on the chip; follow the instructions in Recipe 1.3 to load the Blink sketch onto the board to verify that the board is working. If you are not using a standard board, it may not have a built-in LED on pin 13, so check the documentation for details of your board. The Leonardo board fades the LED up and down (it looks like the LED is “breathing”) to show that the board is working. You want to get a sketch and prepare it for uploading to the board. 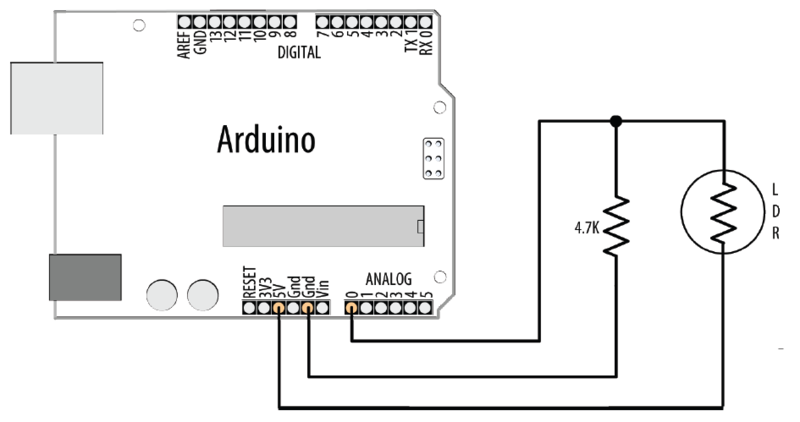 Use the Arduino IDE to create, open, and modify sketches that define what the board will do. You can use buttons along the top of the IDE to perform these actions (shown in Figure 1-6), or you can use the menus or keyboard shortcuts (shown in Figure 1-7). The Sketch Editor area is where you view and edit code for a sketch. It supports common text-editing keys such as Ctrl-F (⌘+F on a Mac) for find, Ctrl-Z (⌘+Z on a Mac) for undo, Ctrl-C (⌘+C on a Mac) to copy highlighted text, and Ctrl-V (⌘+V on a Mac) to paste highlighted text. Figure 1-7 shows how to load the Blink sketch (the sketch that comes preloaded on a new Arduino board). The exact message may differ depending on your board and Arduino version; it is telling you the size of the sketch and the maximum size that your board can accept. Sketch too big; see http://www.arduino.cc/en/Guide/Troubleshooting #size for tips on reducing it. If this happens, you need to make your sketch smaller to be able to put it on the board, or get a board with higher capacity. If there are errors in the code, the compiler will print one or more error messages in the console window. These messages can help identify the error—see Appendix D on software errors for troubleshooting tips. To prevent accidental overwriting of the examples, the Arduino IDE does not allow you to save changes to the provided example sketches. You must rename them using the Save As menu option. You can save sketches you write yourself with the Save button (see Recipe 1.5). menu option and using a different name or version number regularly so that as you implement each bit, you can go back to an older version if you need to. Code uploaded onto the board cannot be downloaded back onto your computer. Make sure you save your sketch code on your computer. You cannot save changes back to the example files; you need to use Save As and give the changed file another name. You want to transfer your compiled sketch to the Arduino board and see it working. Connect your Arduino board to your computer using the USB cable. Load the Blink sketch into the IDE as described in Recipe 1.3. Next, select Tools→Board from the drop-down menu and select the name of the board you have connected (if it is the standard Uno board, it is probably the first entry in the board list). your computer. Each machine will have a different combination of serial ports, depending on what other devices you have used with your computer. select it. If there are multiple entries, your board will probably be the last entry. Each board will have different values for XXXXXXX. Select either entry. Click on the upload button (in Figure 1-6, it’s the second button from the left), or choose File→Upload to I/O board (Ctrl-U, ⌘+U on a Mac). The software will compile the code, as in Recipe 1.3. After the software is compiled, it is uploaded to the board. If you look at your board, you will see the LED stop flashing, and two lights (labeled as Serial LEDs in Figure 1-4) just below the previously flashing LED should flicker for a couple of seconds as the code uploads. The original light should then start flashing again as the code runs. For the IDE to send the compiled code to the board, the board needs to be plugged in to the computer, and you need to tell the IDE which board and serial port you are using. When an upload starts, whatever sketch is running on the board is stopped (if you were running the Blink sketch, the LED will stop flashing). The new sketch is uploaded to the board, replacing the previous sketch. The new sketch will start running when the upload has successfully completed. Older Arduino boards and some compatibles do not automatically interrupt the running sketch to initiate upload. In this case, you need to press the Reset button on the board just after the software reports that it is done compiling (when you see the message about the size of the sketch). 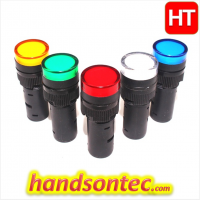 It may take a few attempts to get the timing right between the end of the compilation and pressing the Reset button. The IDE will display an error message if the upload is not successful. Problems are usually due to the wrong board or serial port being selected or the board not being plugged in. The currently selected board and serial port are displayed in the status bar at the bottom of the Arduino window If you have trouble identifying the correct port on Windows, try unplugging the board and then selecting Tools → Serial Port to see which COM port is no longer on the display list. Another approach is to select the ports, one by one, until you see the lights on the board flicker to indicate that the code is uploading. You want to create a sketch and save it to your computer. Compile the code by clicking the compile button (the top-left button with a triangle inside), or select Sketch→Verify/Compile (see Recipe 1.3). Upload the code by clicking on the upload button, or choose File→Upload to I/O board (see Recipe 1.4). 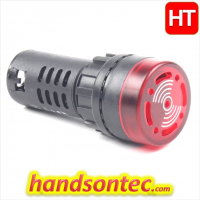 After uploading, the LED should blink, with each flash lasting two seconds. You can save this sketch to your computer by clicking the Save button, or select File→Save. You can save the sketch using a new name by selecting the Save As menu option. A dialog box will open where you can enter the filename. When you save a file in the IDE, a standard dialog box for the operating system willopen. It suggests that you save the sketch to a folder called Arduino in your My Documents folder (or your Documents folder on a Mac). You can replace the default sketch name with a meaningful name that reflects the purpose of your sketch. Click Save to save the file. The default name is the word sketch followed by the current date. Sequential letters starting from a are used to distinguish sketches created on the same day. Replacing the default name with something meaningful helps you to identify the purpose of a sketch when you come back to it later. If you use characters that the IDE does not allow (e.g., the space character), the IDE will automatically replace these with valid characters. 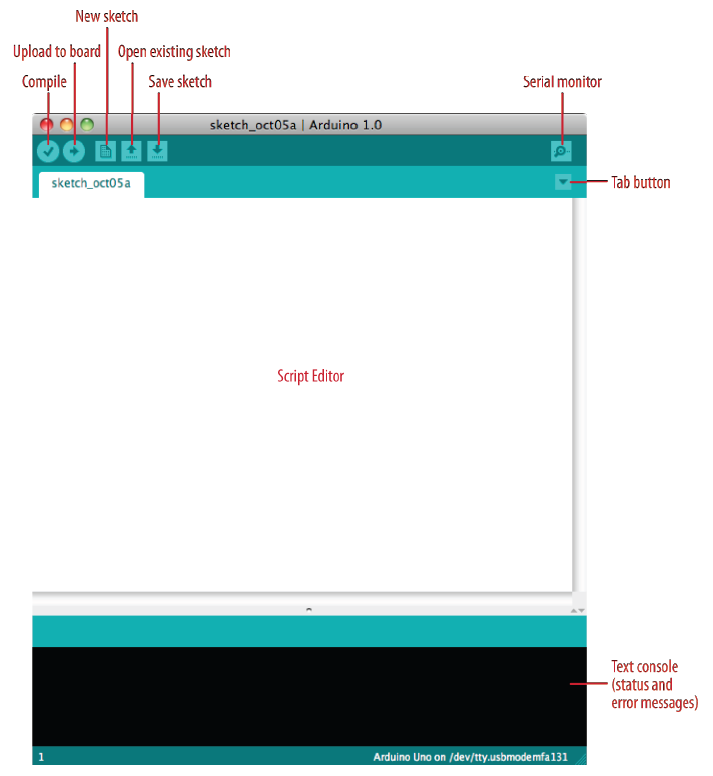 Arduino sketches are saved as plain text files with the extension .ino. Older versions of the IDE used the .pde extension, also used by Processing. They are automatically saved in a folder with the same name as the sketch. You can save your sketches to any folder on your computer, but if you use the default folder (the Arduino folder in your Documents folder) your sketches will automatically appear in the Sketchbook menu of the Arduino software and be easier to locate. If you have edited one of the examples from the Arduino download, you will not be able to save the changed file using the same filename. This preserves the standard examples intact. If you want to save a modified example, you will need to select another location for the sketch. After you have made changes, you will see a dialog box asking if you want to save the sketch when a sketch is closed. The § symbol following the name of the sketch in the top bar of the IDE window indicates that the sketch code has changes that have not yet been saved on the computer. This symbol is removed when you save the sketch. The Arduino software does not provide any kind of version control, so if you want to be able to revert to older versions of a sketch, you can use Save As regularly and give each revision of the sketch a slightly different name. Frequent compiling as you modify or add code is a good way to check for errors as you write your code. It will be easier to find and fix any errors because they will usually be associated with what you have just written. If you try and save a sketch file that is not in a folder with the same name as the sketch, the IDE will inform you that this can’t be opened as is and suggest you click OK to create the folder for the sketch with the same name. You want to get started with a project that is easy to build and fun to use. 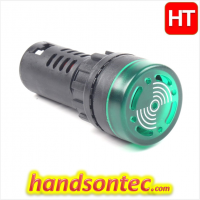 The sketch is based on the LED blinking code from the previous recipe, but instead of using a fixed delay, the rate is determined by a light-sensitive sensor called a light dependent resistor or LDR. Wire the LDR as shown in Figure 1-8. You can use the LDR to control the pitch of a sound by connecting a small speaker to the pin, as shown in Figure 1-9. Figure 1-9. Connections for a speaker with the LDR circuit.